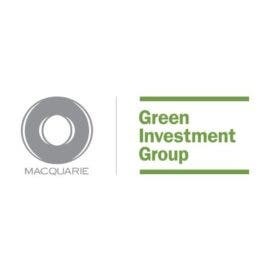 Since its acquisition by Australian banking giant Macquarie Group from the UK Government in August of 2017, the Green Investment Group has arranged for or invested £1.6 billion of capital into clean energy projects, according to the Group’s first Progress Report since privatization. In 2012 the UK Government set up the Green Investment Bank (GIB) to support the development of renewable energy projects. Three years later the GIB announced plans to privatize, which came to fruition in August of 2017 when Australian banking giant Macquarie Group acquired the GIB for £2.3 billion and promptly changed its name to the Green Investment Group (GIG). Despite a minor dust-up between Macquarie and the UK’s National Audit Office in December of 2017 — with the latter raising concerns that the former might not be quite so committed to green financing — the Group has made significant progress in following through on its green investment priorities, including acquiring a 25% stake in the 210 megawatt (MW) Westermost Rough offshore wind farm, acquiring a solar development portfolio from Conergy Asia & ME which will include employees and solar development assets across the Asia Pacific region, and an expansion into North America heralded by the launch of Candela Renewables for solar development and the financial close of the 200 MW Canadian Breaks onshore wind farm in Texas. It has been just over a year from its acquisition and relaunch as the Green Investment Group on August 17 of 2017, and to commemorate this milestone the Group published its first Progress Report this week, published to coincide with the Macquarie Green Investment Group inaugural Green Energy Conference in London, expected to be attended by 500 stakeholders. High among the highlights from the Report is confirmation of the Group’s commitment to green energy investments, boasting over £1.6 billion of capital invested or arranged for clean energy projects. 10 new green transactions were made through the year, including waste-to-energy in the UK, onshore wind in Sweden and the United States, solar in India, and offshore wind in the UK. ”It’s been an outstanding inaugural year for the Green Investment Group,” crowed Mark Dooley in the company’s press release announcing the Report. “We’ve expanded our global footprint, developed innovative investment solutions and continued to support the technologies which will remain a driving force behind the global energy transition.